This is a fantastic pattern with historic styles for Frontier Days and re-enactments. 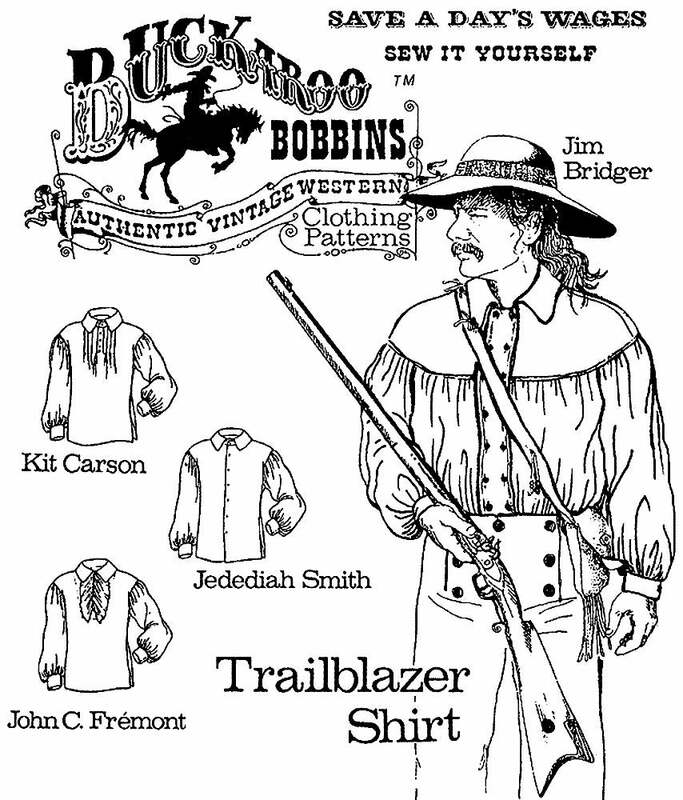 The Trailblazer Shirt package contains four different styles commonly worn from the late 1700's through the Civil War years. Simple and easy to make, all sizes from 30" to 68" chest are contained in each pattern package. For comfort and ease of construction, Buckaroo Bobbins has redesigned the underarm seam in the modern style. The original designs had box-shaped bodies and sleeves with a diamond shaped gusset in the armpit and neck areas. The torsos were also very long, almost knee length. 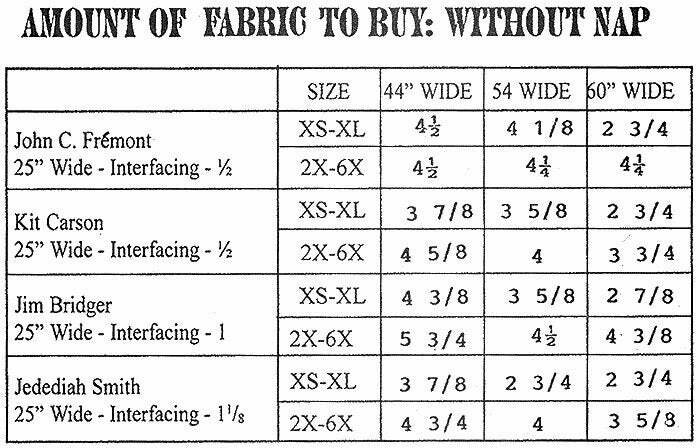 Suggested Fabrics: Lightweight to Medium Weight Fabrics: Homespun, Linsey-Woolsey, Flannel (Cotton or Light Wool), Challis, Calico, Lawn Batiste, Broadcloth, Linen, Osnaburg, Silk Broadcloth, Muslin, Gauze, Gingham, Chambray, Poplin. John C. Fremont: One hook-and-eye, 6 buttons, 1/2" or larger. Kit Carson: 11 buttons, 1/2" or larger. Jim Bridger: 18 buttons, 1/2" or larger. Jedediah Smith: 13 buttons, 1/2" or larger.